We spent the first night, January 24, 2004 at the Riverside Hotel, recalling great times from past cruises with old friends. See photos. The cruise started out with a real bang. The first stop was in Key West, Florida on January 26, 2004. After a little sightseeing, we landed at Irish Kevins for a grest session. Brigit's Cross arrived from the ship and brought the house down! Also, Katie from our cruise blows away the male competition in a Guinness speed drinking contest. See photos. January 27, 2004 was spent at sea, so we had a Pub Crawl through some of the bars on the ship. See photos. January 30, 2004 we arrived at Georgetown for a brief shopping trip. 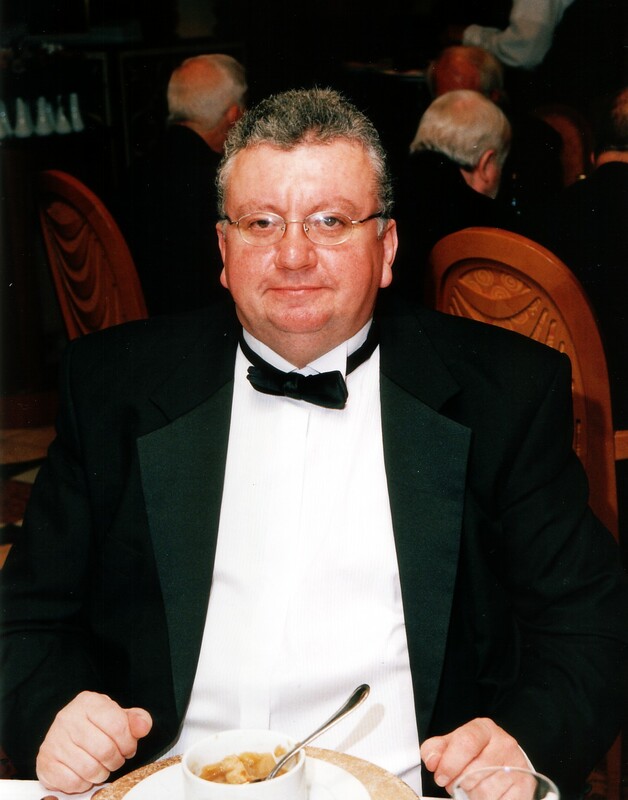 At 4:00pm tragedy struck, as Derek McCormack suffered a massive heart attack, and passed away. Some photos from this sad day. We have no photos from this day, but we do have a photo of Derek from the formal night earlier in the week, thanks to Susan. See photo. We think the last song that Derek sang on stage was "Never Too Far From My Mind," the title track from his album. The last lines go "So hello my old friend, though it's been a long time, you were never too far from my mind." And so old friend, you too will never be far from our mind. We will miss you Derek......safe home. 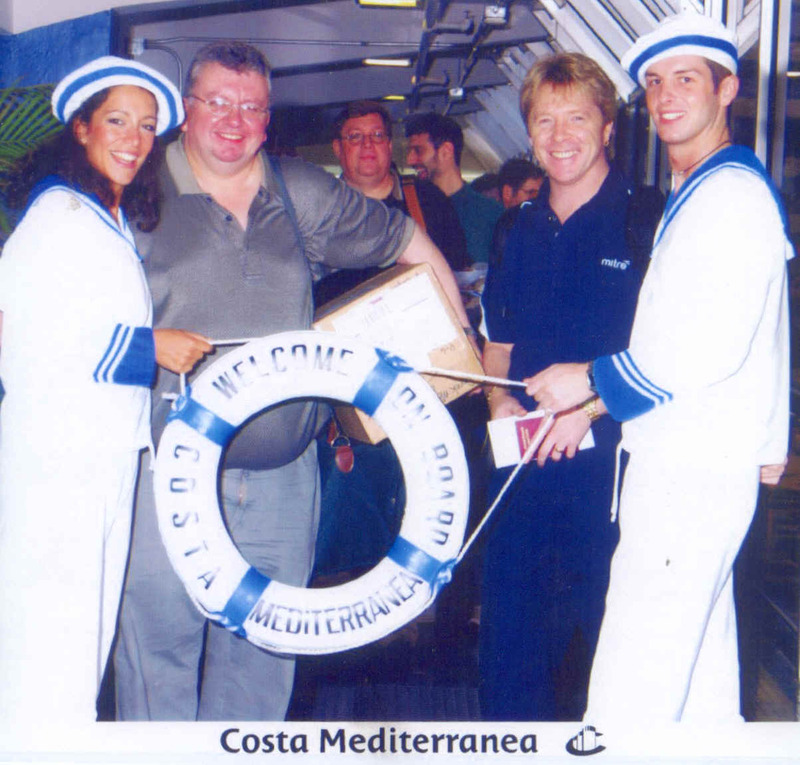 We hope to see a lot of our friends again in September 2004 in Alaska and also in January 2005 in the Carribean. Thank you Mary Rowley, of Irish Festival Tours, for putting together these wonderful cruises.